Building a Simple Sampler in Reaktor from Peter Dines on Vimeo. In this video I walk you through creating a simple multipurpose sampler in Reaktor. 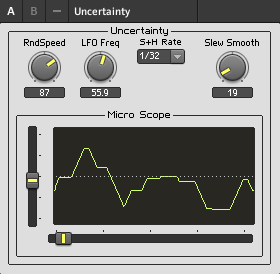 I introduce you to basic Reaktor concepts like control and audio signal flow, polyphony, sample import and mapping, signal modulation with an envelope and adding factory effects. This is an introductory level video but it covers a lot of important territory you need to know to build more advanced structures. Look forward to more videos from me – the next one will be on creating a sequenced beat production center from scratch. This entry was posted in Ensemble, ensembles, Practical Reaktor and tagged beats drum, delay, effects, electronic music, house music, instrument, polyphony, reaktor, Sampler, sampler mapping, tutorial, Video, voice combiner on March 12, 2013 by peterdines.